Enna five-lights chandelier lamp. 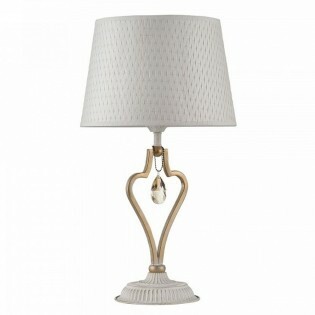 The structure is made of metal in gold and white, both with an antique touch that reinforces the classic aesthetics. Each point of light has a lampshade with an interlace that gives it an original air. It is a chandelier to place in the living room, dining room and large areas of your home. Dimensions: Height 65-157 cm. Diameter 65 cm. - Lamp designed in Germany. - Bulb: 1 x E27 Max. 40W. (not included). - Dimensions lampshade: Diameter: 35 cm. Height: 28 cm. Maytoni's MODERN collection is characterised by modernism in every detail of the lamps. This collection unites different contemporary interior styles: minimalist, futuristic, constructivist, high-tech and loft. Using new technologies and simple forms, we design innovative solutions in the lighting sector.